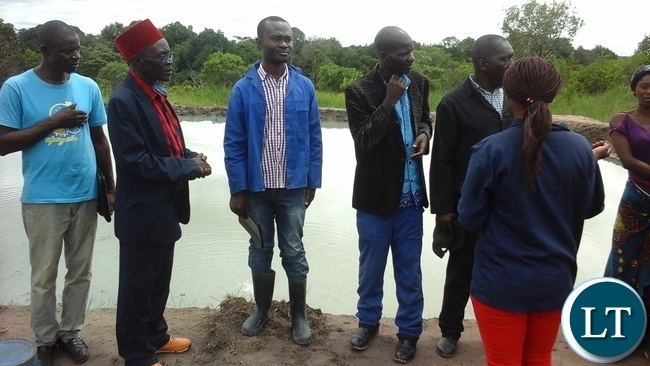 Senior Chief Mwamba of the Bemba people encourage his subjects to cultivate the culture of fisheries and Livestock farming to enhance food security and household income in his Chiefdom . He said this during the stocking of more than 4000 figerlings in his Chiefdom by Scaling-Up NUTRITION kasama. The programme is targeting pregnant mothers and lactating mothers , with the sole purpose of fighting stunting in children. During the same function Kasama Livestock Technician, Mwalilino Walinase Ackim argue the farmers in the area to embrace livestock integration ,as livestock production has great potential to contribute to the GDP of our great nation Zambia. Mr Mwalilino also thanked government for the many infrastructure that government is setting up in the district through the Livestock Infrastructure Support Project (LISP). Previous articleFight For Fairness And Justice, But Not Equality! Does it mean men in this area fail to buy chitenges for their wives, which husband in his rightful mind would allow his wife to put on cheap pf chinese telela chitenge. I wouldn’t, my wife beautiful bemba wife deserves the best fabrics. The story is about fish restocking and NOT what those people are wearing. Of all the story tells all you can see is pf chitenge. Do you guys even work, hardly a day passes without talking politics you must be insane for sure. There is more to life than being a political party cadre better be a cadre,for Jesus Christ. Politics in Zambia have made people to very lazy always looking for hand-outs, why? Awesome!! 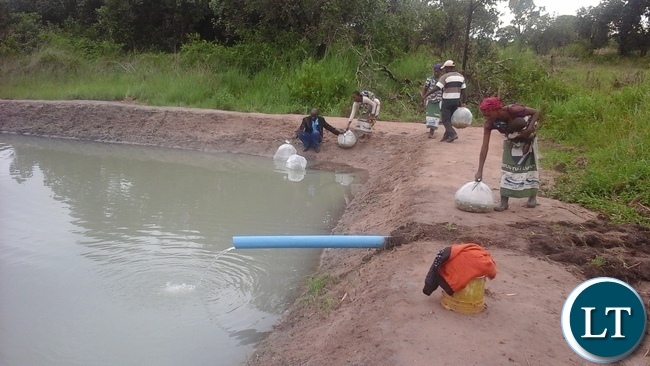 I was just thinking of Fish Farming at my small lot located in Mpika on Kasama road just pass M. Sata hospital when I saw this article on this beautiful Sunday afternoon, of course, nde chemfula bane. I would like to contribute to the Food bank of Mpika the town I graduated my high school from in 1980 at Mpika Boys Secondary School. 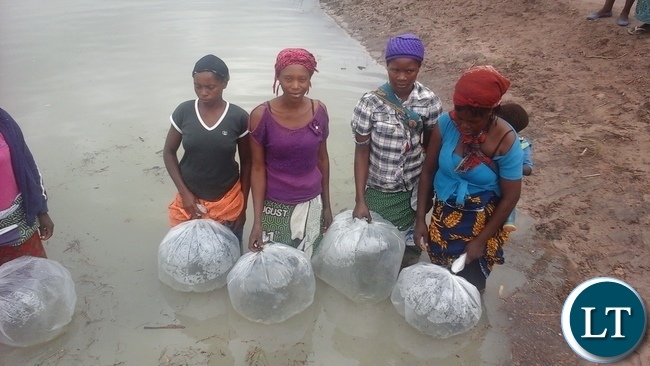 I was thinking of Mwekela, located on the Copperbelt, for the small fish to introduce into the fish pond but I guess there are places I can get from in Kasama, per the picture in the article. Or hopefully, the government has the same program in Mpika. Kapoma, you are the man! I think Zambians should not always be talking about politics but what are they offering. If you live in diaspora stop talking crap but man or woman up and offer solutions! Hahaha Ba Chilufya, we shall talk mailo not now when you are doing ukucemfula.